So are you the apex predator? 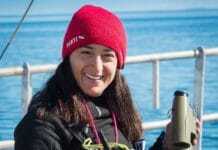 Well there are several big predators out there almost everywhere in the underwater world that easily outweigh us by 2 to 5 times or more and they could take us out in seconds if they so desired, but fortunately, that’s not the case. These predators hunt the same prey that we do, so interaction is bound to happen. We need to spearfish intelligently with enough dive buddies to assist so we can safely enjoy this exciting adventure. By the way spiders, dogs and lightning each killed many more people worldwide last year than sharks. Sharks top the list of course, but history has shown that they are not really interested in us. The International Shark Attack File (ISAF) has a huge amount of data on annual shark attacks from around the world since 1958. In 2015 there were 98 unprovoked attacks worldwide, up from the previous record of 88 set in 2000. My home state of Florida had the highest number of any state with 30 of the USA total of 59. Unprovoked attacks are mostly surfers or swimmers getting a badge of honor with a nip on a hand or foot, and the high numbers are related to the high population and the size of the warm water coastal areas. 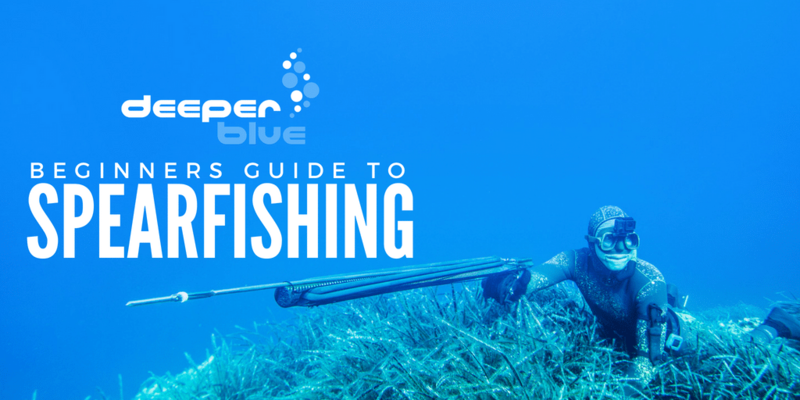 Spearfishing attacks usually fall into the provoked category. 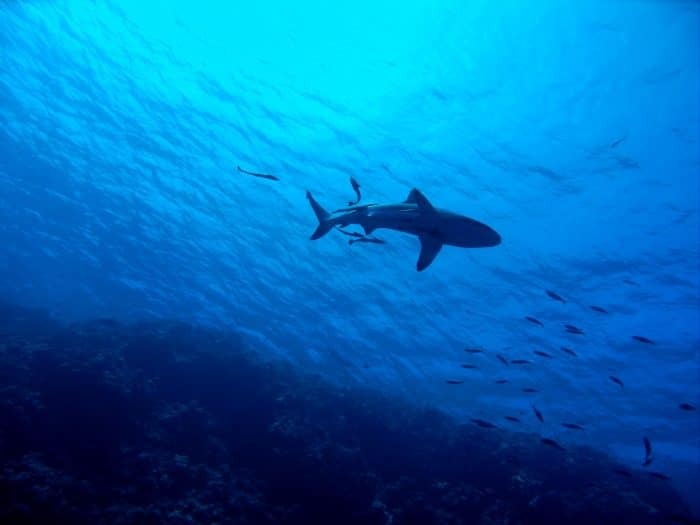 In over 4 decades diving in Florida, the USA and Caribbean I’ve commonly had sharks come in while I’ve been spearfishing, or they were there before we arrived, but I’ve never been hit, bit or lost a fish to any shark. So who are the other bad boys? 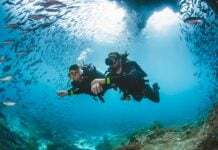 I know of 6 divers, counting myself, who has been mugged by Goliath Groupers, mostly being grabbed by the extremities and one by the head and torso, and we’re all still alive and diving! 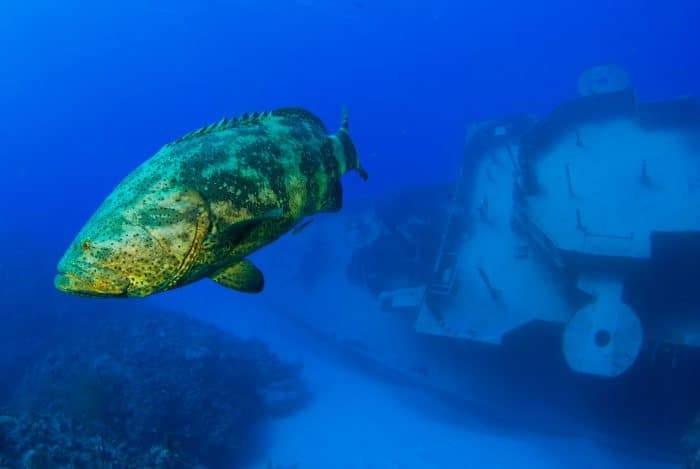 In the USA Goliath Groupers, formerly called Jewfish, have been protected from any harvest since 1990. Before then the largest ever speared was 804 pounds, shot by Don Pinder with a Hawaiian sling in south Florida. Big alpha Goliaths are not easily intimidated by divers with spearguns. They are much smarter than sharks and quickly learn that they can rush a diver after the shot and often steal his prey. The population of Goliaths varies by location but on the Gulf of Mexico side of Florida they are over-run and are rapidly increasing in Southeast Florida and the Keys. Your best chance of winning a tussle with most predators, Goliaths included, is to beat them to the prey and keep your gun in hand. If possible even run them off with a show of dominance before you shoot… easier said than done of course. Puff yourself up and look straight in their eyes and advance towards them. Hold your fish tight to your body, not trolling it away from you, and keep your gun, pole or spear pointed in their direction. I have had to twist away from huge Goliaths like a matador from a bull and I’ve had to poke them and also pull my fish back out of their mouths. It’s a contest over possession of the fish, and if you give it up easily it just excites them and then they want more. Barracuda can weigh over sixty pounds consisting largely of teeth and muscle and they often pick off a spearos prey before he or she can reach it. I’ve had more trouble with little barracudas that dart in to steal a piece of my catch because they’re fast and they know it. They usually get that one bite but nothing more. That said barracuda are rarely problems for spearfishermen. Oh yeah, don’t dress flashy! 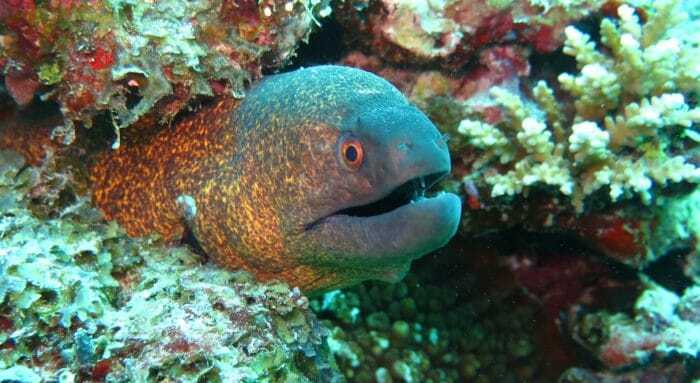 Moray eels have been known to steal many a divers prey. I have lost some fish to these guys because they are the best at getting skinny and sneaking into a reef to reach a rocked up fish before I can even find it, and they defend their new found possession fearlessly. Morey’s have also added a few scars to my fingers, right through the toughest spearfishing gloves available today, and usually while I was still struggling to secure my fish from within a hole and didn’t know a moray was biting into it from the other side. You wouldn’t think another diver would be a competing predator for your prey, but I’ve experienced other divers deliberately taking wild shots near me in attempts to steal away a fish that I had in my sites and obviously I was close to and saw before they did. Be careful who you chose as dive buddies. A good buddy of mine knows this better than anyone. He was diving on an oil rig offshore from Louisiana and shot an amberjack and had it on his stringer and in his hand while swimming to the surface in decent visibility. He was almost there when unbelievably another diver shot at his fish but missed it and instead speared straight through his ankle! Just so you know, there is no mistaking a fish that has been mortally speared from a green fish swimming by. Adding insult to injury the bad shooter almost drowned him with a very lame rescue attempt. It’s hard to believe, but many of those internet photos of speared divers are probably true! Several of my buddies and I have passed on pulling triggers on dives when the visibility was too poor to be spearfishing. Often you can move a few miles and find clearer water, so it’s not worth shooting when conditions are unsafe. So we really are the apex predators. I was a little surprised of the low percentage of shark attacks on spearfishermen shown in the ISAF section “Attacks on Divers”, but the graph did say unprovoked shark attacks. And in perspective to all other divers, in general, we are a such a tiny population. With adequate dive and spearfishing training, and using common sense whilst having a well-trained safety buddy or two, we can enjoy the sport of spearfishing with little fear of injury… really!